From the writer of Blood Brothers (Willy Russell) comes his most acclaimed play, Educating Rita, an hilarious and often moving story of a woman determined to better herself. Thinking that there is more to life than working in a hair salon, street-smart Rita, fizzing with ambition, sets out to find herself through higher education. Book-smart Frank, a failed poet with a failed marriage, has grown disillusioned with higher education and has just about given up. He agrees to tutor Rita to pay for his drinking habit, totally unaware his world is about to be turned upside down. The unlikely pair form a life-changing bond as Frank enlivens Rita’s soul through Shakespeare and Chekhov, while Rita reawakens Frank with a breath of fresh air in this heart-warming comic masterpiece. A revival of British playwright Willy Russell’s classic 1980s play Educating Rita is a perfect showcase for two of New Zealand’s most-talented actors. This charming, thoughtful and entertaining two-hander stars Court regular Kathleen Burns as the titular Rita White and celebrated stage actor George Henare as her university lecturer Frank. Rita is a young hairdresser burning with curiosity and a reaching desire for something more than her working class existence in 1980s Liverpool. As she puts it, she wants bigger choices in her life than the one between butter and margarine. Hollow consumerism isn’t providing the freedom and choice she craves. When she signs up for an English literature course at the Open University she is assigned to Frank, a jaded older lecturer and former poet who has lost his way in a cosy haze of Famous Grouse and comfortable academia. It is a pleasure to watch the awakening of these two characters, portrayed in a series of sharply written scenes that take place over the course of more than a year. Frank is slapped awake from his boozy stupor by this dazzling young woman and her fresh perspective on his world. While Rita, through determination and hard work, builds herself a life of satisfying and meaningful choices. Kathleen Burns is the blazing heart of this show. Her vivid portrayal of Rita is lit from within with verve, wit and conviction. The Liverpool accent is difficult to master, but Burns has the basics down, even though she occasionally drifts into other regions of England. I think she will settle more comfortably into the accent as the run continues. But it hardly matters as Burns brings this character alive with such spark and clarity. Henare unselfishly allows Burns to shine, putting in a quiet and convincing performance as the disillusioned academic. The two spar beautifully in the short and punchy scenes, perfectly maintaining a flawless and flowing tempo that captures the essence of each scene, character and moment. One minor criticism is that there seems to be a slight lack of natural chemistry and spark between the two leads. This means a subplot about Frank being quietly besotted with Rita falls a bit flat. The gentle flirting is never returned by Rita and so feels a little awkward and uncomfortable. It means that some of the moments in the play’s closing moments do not quite pay off. The costume and set design is engineered to focus solely on these two characters and their changing world. Rita’s costumes slowly transform from bright and cheerful fashion to more sedate and sophisticated as her character changes. Meanwhile, Frank stays in his denim jeans and white shirt, unable to change in such dramatic fashion. The single set also keeps the focus on these two characters. The small set, placed in the center of the stage, is a tight little slice of parquet-floored academia – cluttered with books, unmarked papers and half empty bottles of booze. The costumes, lighting and set design all serve two wonderful performances by two wonderful actors, portraying raw curiosity and jaded academia as they blossom into new lives. An affectionate revisiting of this classic two-hander is a warm reminder, as Russell puts it, of “things that matter”. He and we might have hoped that social concerns such as dispirited ignorance on one hand and pretentious institutionalized education on the other would have changed for the better over the past thirty odd years since it was first performed. If only. However, the real drivers of the play are the timeless themes of the quest for personal freedom and expression as well as the bitter-sweet consequences of changing personal relationships, and these are handled with refreshing zeal. Yvonne Martin’s direction has all the finesse of experience and insight, ensuring that there is an engaging overall build to a series of tutorial encounters which all take place in the context of The Open University in Liverpool in the eighties, all under our gaze in a single study. Her creative team lays it all out for us in telling detail. Costume from Pamela Jones delivers working class likely lass and rumpled academic gear; authentic support from sound (Giles Tanner) and light (Sean Hawkins) underpins the realistic business which evolves beyond the black space of The Court’s outer stage. The study itself, designed by Harold Moot, is suggestively frayed at the edges, angled for interesting use by the two actors and full of clues as to the nature of its occupant. Frank used to be a poet. Now he is more of a small wheel whose uninspired direction is set by his masters. Behind the books in his crowded shelves is the whisky which boosts his passion these days. Beyond that is the pub and a failing marriage that shapes his days. He is taking this Open University course to help fund the booze. Into this retreat bursts Rita, hairdresser by trade, ardent seeker of wisdom and truth through the education she imagines a course in English literature will supply. There is scope for both humour and poignancy in the Pygmalion-like trajectory of the teacher-pupil relationship. She is on the rise, he is probably not, unless he can find his own renaissance in Australia, whence he is eventually posted as a reprimand for being drunk at lectures. As she gains the confidence and conviction to make informed and independent choices about “everything”, his own world suffers in comparison. The crossover pattern in their relative status is compelling. It is a simple enough story but, like all of Willy Russell’s creations, it works strongly on our feelings. Frank, teaching critical analysis, would dismiss these as “subjective” and even “sentimental” but the honesty of the characters is nevertheless as touching as it is funny. Even as we enjoy the sparks and frustrations the mismatched pair encounter in the course of essays and readings, we are also aware of their deeper implications and of what happens when the pupil becomes the teacher. As Rita and Frank, Kathleen Burns and George Henare are beautifully cast and impeccable in action. Rita comes off the page in marvelously brash technicolour, assertive Scouse accent and all. That does not preclude sensitivity and a certain childlike vulnerability when her hopes are temporarily dashed by her tutor’s firm judgements. George Henare plays Frank with skill and intelligence, which elevates the role well beyond a superficial Henry Higgins type. His slow almost reluctant kindling of affection for this exasperating student and the barely controlled vexation she brings are handled with marvelous precision. For the audience, the experience is an entirely satisfying blend of what we hope will happen and what we fear cannot be avoided. That richness of impression and humour ranging from innocent clanger to sophisticated irony enhance a fine production. Claire joins Frank as he campaigns in South Carolina, but he doesn’t trust her. A disastrous scandal blindsides Frank on primary day. The race card is dealt, and Frank responds. But it’s too late, he losses his home state. Claire, despite her setback is clawing for her way back into the power game. The tension between them is continuing to rise. After seeing a few episodes, the remainder were viewed over the weekend. Frank and Claire adjust to their new reality. The search for Frank’s running mate begins. Frank starts a campaign to weaken Conway’s strong support. As Frank deals with a new threat to his candidacy, Claire has doubts about their plan. Claire faces a difficult decision concerning her mother’s health. Frank ups the ante on the war on terror to counter Conway’s public criticism of his lack of action. Tom joins Claire on the campaign trail. Another good series with the usual persuasion and corruption expected from the first three series. As Claire begins exploring a campaign of her own, she and Frank engage in backdoor political maneuvering. But this time they’re not on the same side. It’s Claire vs Franks, and a win to Frank for undermining her campaign. Claire resorts to dipping into the family assets, proving that blood is not thicker than water. The Russians are back and it looks like another bully to bully round is coming. 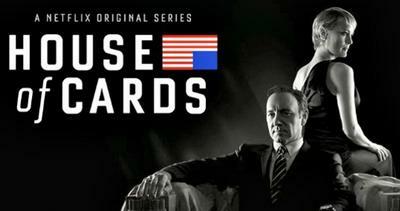 Clare’s absence causes problems for Frank on the campaign trail amid rumors of a marital rift. Claire tries to strike out on her own. Frank is back, and more of a bulldog than before. Those loyal to him appear to be short in number. It’s Clare who looks like the real political operative here, even if she doesn’t get her way. And just who is the criminal let out of jail. Looks like he could be the next spanner in the works for the administration. An intriguing start to series 4. This acclaimed novel really is as good as everyone says. It traces the journey of two individuals through the events of Stars Wars ‘A New Hope’ to ‘Return of the Jedi’. The story has two points of view. We follow Thane Kyrell and Ciena Ree from trainees on both sides of the war to the end of the Empire. This would suit anyone who wants to go deeper into the Star Wars universe. There is an audio-book available. 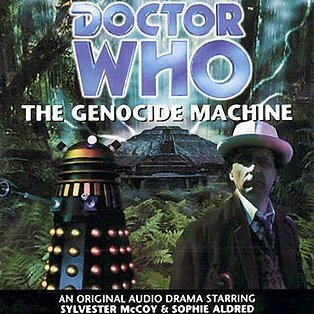 On the planet Kar-Charrat, the Seventh Doctor and Ace try to prevent the Daleks acquiring a technology called the Wetworks Facility. Dr Longbore selects his crew of schoolgirls to go onto Noah with him. But just before he boards, Priest and Bunny take his ride, and he is fried. Out of spite, Longbore has left a Higgs boson accelerator to destroy everything. The aliens start tearing into Earth using moon-sized tentacled asteroids. Kai starts towing the accelerator to use it against the aliens, but after Xev, Stan and he leave Earth, 790 destroys it using senile Lexx. Prince grants Kai his mortality, as he tows the accelerator into the main alien asteroid, and collapses it. Kai crashes into the core in almost a shot for shot duplicate of the first time he died and laughs from the irony as the accelerator’s Higgs Boson value is determined as 131313… and explodes. Prince appears, rejoicing, on Noah. Lexx disintegrates, and spawns a baby Lexx, which Stan and Xev enter with Stan becoming the new captain. At least it ended with a bang, not a whimper. 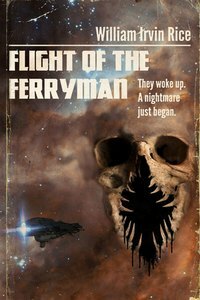 Each planet the crew encounters on their search for a new home appears to be stripped of life. They conclude that it was “Lyekka”, but Stan is still convinced that Lyekka has changed her ways. “Lyekka” gives the crew a going away present, which appears to be yummy fruitballs, but ends up being a paranoid psychotic adventure, egged on by 790. The cryo control is wrecked and Kai mentions that he only has “days, a few weeks at best” of protoblood left. Kai and Xev land near where a “Lyekka” asteroid hit near the coast of Japan, and meet the monks of a Buddhist monastery. There, Xev learns of “inner pieces”; her organs nearly harvested by the “Master”. A Godzilla-sized Lyekka comes out of the sea and starts devastating Tokyo. Kai slays her, and Lexx blasts the walking asteroid that emerges afterwards. The last few minutes of the episode are prematurely feel-good, as Stan decides to head away from Earth forever. On the way home, a computer of the funeral spaceship Charon wakes up the crew from their cryo sleep, after it detected a signs of life in ship’s morgue. This troubled planet is a place of the most violent contrasts. who shoulder the burdens. It is not a wise leadership. the problems he sees with the world today. world and ensured a system that is to their advantage. most quoted book on “new” economics. $20-$50 circulates in the world of pure finance. above all, let finance be primarily national.